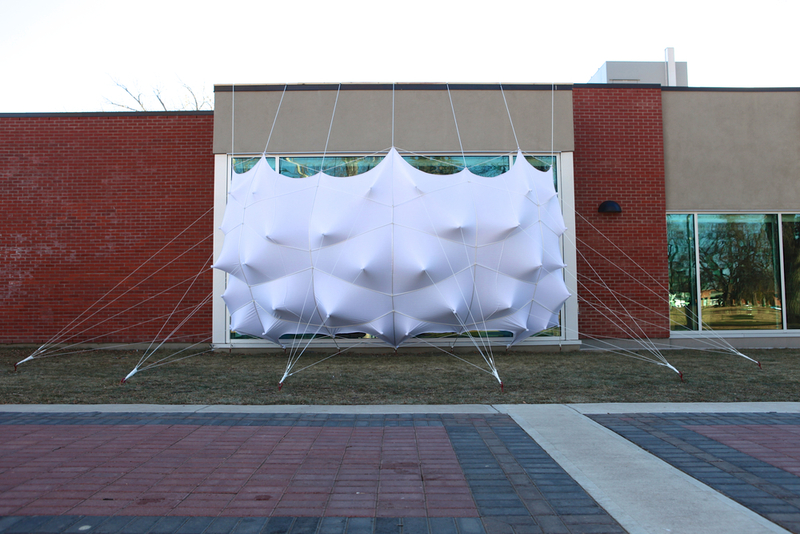 This project was an invited installation at the Southern Alberta Art Gallery (SAAG), which is situated on the edge of a public park in Lethbridge, Alberta. The site was a window that separated a heterogeneous and transient community on the park side, and a highly curated and more formal community inside the gallery. As a result, this project presented the potential to construct a structure that would engage and provoke these two communities through a shared experience -- between the formal and informal, the spectacle and spectator, the programmed and the spontaneous. 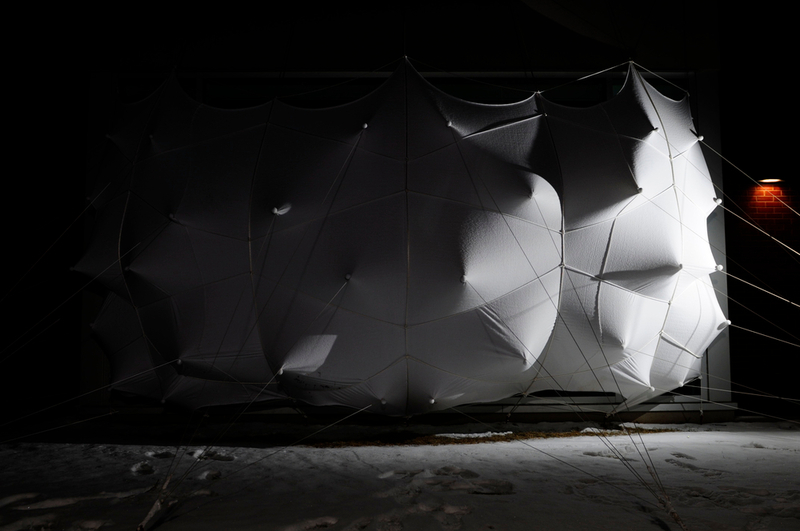 The building and ground provided the anchor points for the rope and fabric tensile structure, and as such, became a topographic device for form-finding. 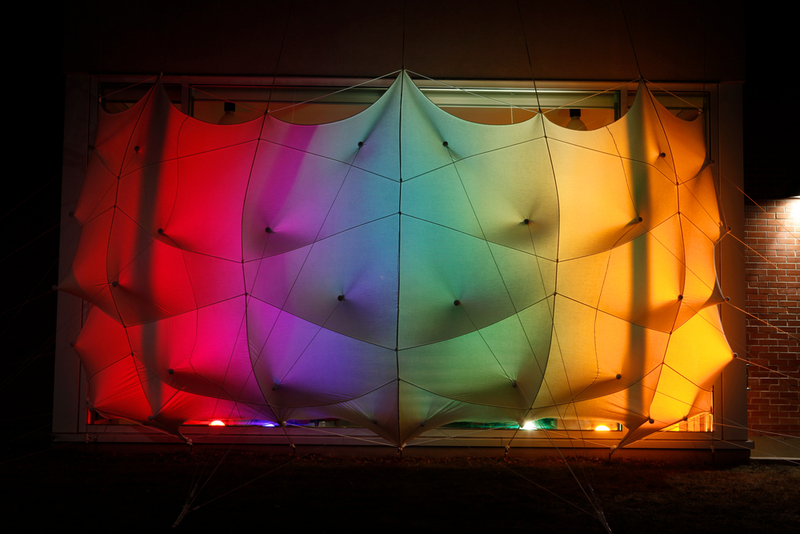 The ropes that connected each surface were adjustable, allowing for an improvisational act of form creation, responding to the light, shadows, and spaces created. 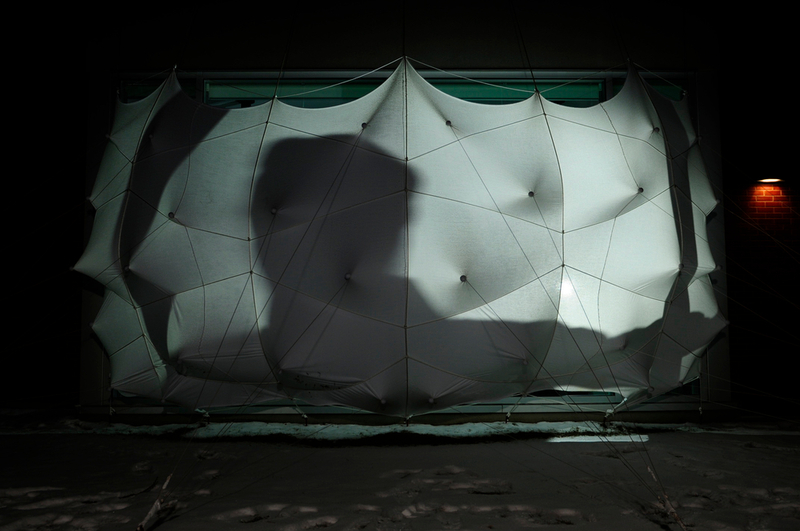 The structure also offered an opportunity to generate a series of shadow studies on the structure’s mutable surface, resolving multiple perspectives simultaneously (through light being a 2D projection of an alternate perspective). The drawings it created raised speculation to how the design process might as well become responsive to the participation of multiple perspectives in an analogous model form in a studio setting.